We have several delicious menus to choose from, whether you're dining at Matador Pizza, ordering Take-Out, and hosting a party. With our new blog, find out what is happening behind the scenes at Matador and learn about everything that’s new and upcoming! Your Pizza & Steakhouse destination for NW Calgary. Come in and visit us tonight! 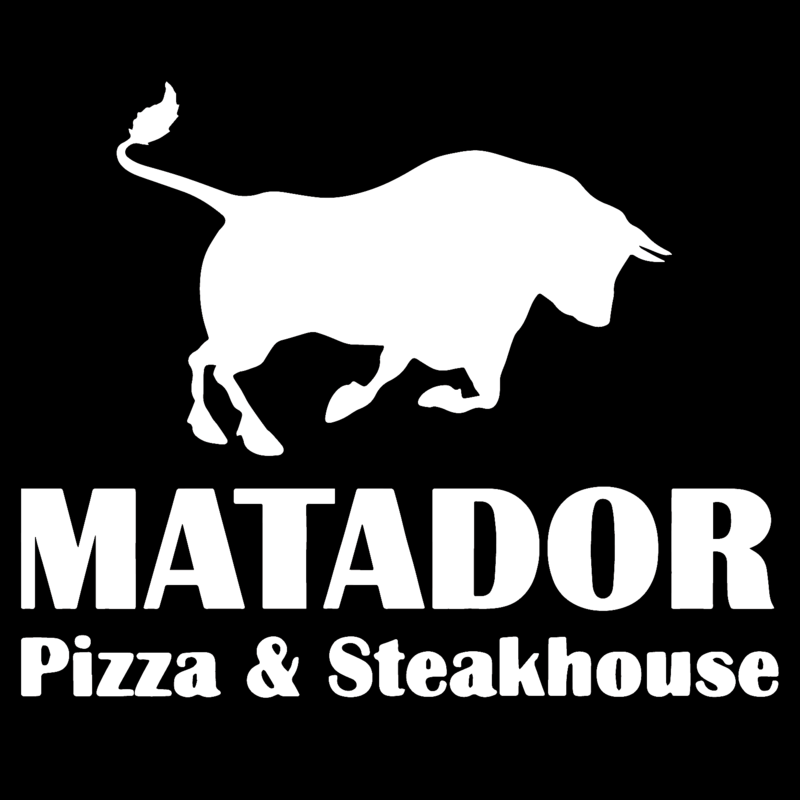 Since 1976 Matador Pizza has been a fixture in the Northwest Calgary pizza scene for great food, friendly service and a welcoming dining environment. Using local ingredients and homemade recipes, we strive to maintain the same freshness and quality that have become our standard for over 35 years. Be sure to stop by and experience everything the Matador family has to offer. Over the years, Matador has created a number of mouth-watering recipes fit for all your cravings. Our daily specials are suited to give you a taste of our menu while taking it easy on your wallet. Whether you are craving pasta and wings, a juicy steak and Caesar salad, or if you are visiting for our weekly chef’s special, we’ve got you covered with quality food at great prices! We are proud to be part of the community of Varsity as it has played a major role in shaping Matador into what it is today. In turn, our restaurant takes great pride in giving back to the locals that have helped embrace us over the years, and our passion for community involvement has spread throughout the northwest. Whether it is fundraisers for schools and sports teams, or having pints of beer dedicated to charity, we love to do our part! Being a traditional style Pizza & Steakhouse, we make all of our pizza dough fresh daily in-house. Because of that, flour is present in the kitchen at all times. We do, however, have some delicious gluten friendly options that will certainly satisfy – and be safe ­– for the gluten intolerant. We have a number of delicious salads such as our traditional Greek salad or our signature Caesar salad – made without croutons of course. We’ve also got a number of options from our grill including steaks, ribs, and chicken dishes. Last and most certainly not least is our gluten-free pizza crust. Available in a 10” size, it allows those who are gluten intolerant to enjoy everything our pizzas have to offer.